ivsEdits™ is a modular and flexible non-linear editing software "Made with passion in Italy" by IVS. It is based on a proprietary engine that uses all the power of multi-core CPUs and GPUs to provide a very powerful 4K/2K/HD/SD editing solution for any post and live production needs; it is open to all current and future standards. 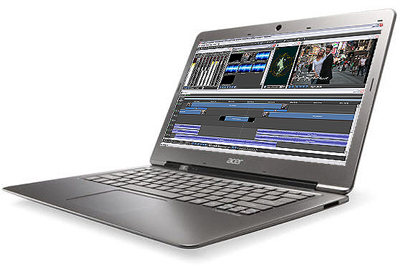 ivsEdits™ brings everywhere, even on laptops, full-quality real-time editing performance, with internal processing in RGBA 4:4:4:4 color space to guarantee pristine video quality. "Timeline Proxy Modes" provide real time preview to old workstations and notebooks too. ivsEdits bundles other advanced apps, including ivsRecode and ivsCapture, used by broadcasters and content creators all over the world. Super professional options are provided for special tasks, like "multi angle Instant Replay" and "Live non Linear Multicamera Editing". Multi Angle Instant Replay system offers full broadcast quality up to 4K and can be used both as broadcast TV production tool and as VAR System, Video Assistant Referee System, for all sports. ivsEdits requires a USB dongle to start; after getting the dongle from one of the authorized resellers*, it is possible to get a full software licence for 30 or 90 days, free of charge. ivsEdits LE is a free video editing software, that features the same professional editing tools of ivsEdits with some limitations. Please, download it here. It's a full working NLE software and its licence is perpetual; it is not subject to expiration. ivsEditsLE is a proud "Vimeo Partner". Uploading your videos to Vimeo from ivsEditsLE Timeline or Bin, additional features of the commercial version are enabled, free of charge! ivsEdits LE doensn't require a dongle, just an online registration. *Resellers usually require a small deposit that they will return when getting back the dongle.